Aerosmith will be at Arena Anhembi on October 30th in São Paulo. The quintet led by Steven Tyler and Joe Perry promises a mega concert to an estimated 35 thousand people. Tickets are now on sale. In a single presentation in Brazil, the tour also passed through several countries in Latin America and Japan, mixing classic blues rock of the 70s and songs of their latest albums. Aerosmith is the American rock band that sold over 150 million albums worldwide. The band has already released 14 albums, plus four Grammy Awards and a spot at the Rock'n Roll Walk of Fame since 2001. When: October 30th, at 8 pm. 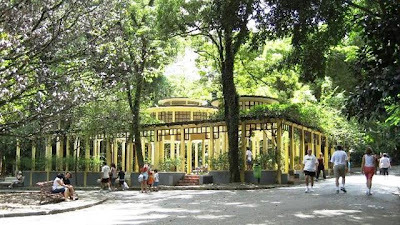 Opened in 1929, the Parque da Água Branca hosts exhibitions and zoologic events. 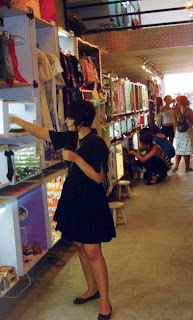 It is a great place to take children because there is a playground, an aquarium and a lake. 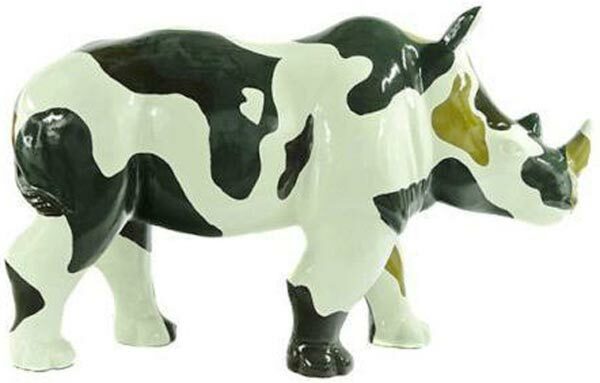 You can also find animals such as chickens, ducks and ponies. Every Saturday happens an organic farmers market. Try to arrive early to enjoy breakfast served in one of the many stalls. When: Everyday, from 6 am till 6 pm. 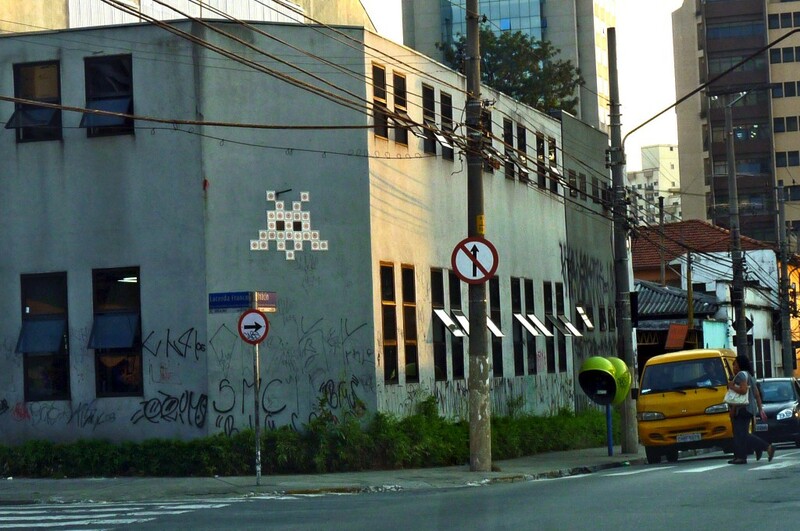 Projeto Fachada Rua Augusta (Rua Augusta Facade Project) is organizing an exhibition of street art. Check it out! 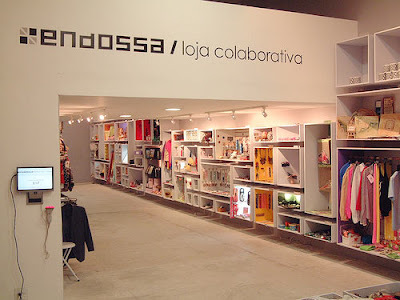 A fashion store of São Paulo has just started a project hoping to transform Rua Augusta ("Agusta Street") into an open-air art gallery for two months. But in order to do this, they need to raise money. You can help! The idea is to make the busiest street of the city into an art gallery, displaying huge illustrations from several artists on the building walls of Rua Augusta, between December 2011 and February 2012. For the project to start, project organizers need to collect R$ 30,000. The tool they're using to raise money is a crowdfunding format website called movere.me. Donors can offer amounts ranging between R$ 10 and R$ 3000. Each donation entitles you to receive an exclusive gift* that depends on the money you provided. For example, by donating R$10, you will receive a key chain in exchange. 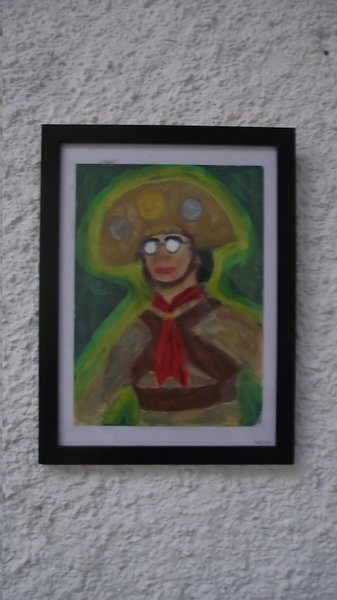 Once R$ 30,000 has been reached, 3 works out art will be displayed out on the walls of three buildings with which the organizers already have developed an agreement. In the case more extra donations, other buildings have discussed their participation in the exhibition. 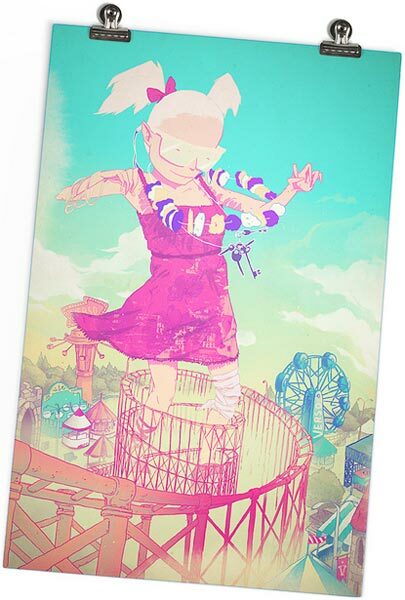 If the minimum amount was not collected, the money will be returned to you, and you won't get the gift. The brand El Cabriton opened a shop in Rua Augusta two years ago and since then, different artists have been invited to illustrate the outer wall of the store in their own styles. If you want to visit the shop and find out more about the project, there is an exhibition scheduled for October 7th, called Projeto 54, where 54 artistis are responsible to create an illustration one card of a pack. The exhibition is open and starts at 8 pm. 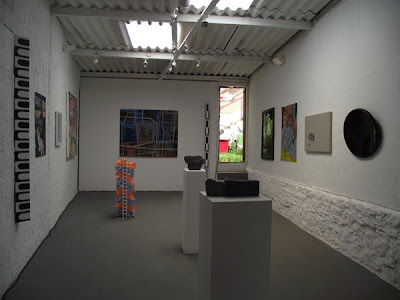 (*) The rewards for the public are original and exclusive pieces designed by Estúdio Verso, from artists like Matheus Lopes (Mathiole), Rafael Pereira (Hafaell) and Rafael Bastos (Vó Maria). 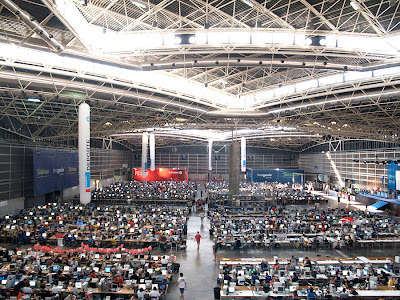 Tickets for the Campus Party Brasil, the biggest worldwide internet event of it's kind, are sold out for 2012! After 22 days of sales since started the enrollment, 7,000 entries were sold for the fifth edition of Campus Party Brazil (#cpbr5). An unprecedented success in any other campus in the world, according to the organizers! For 2012, the event will bring Julien Fourgeaud (Product Manager & Business Development of the Rovio, responsible of the Angry Birds Game) among others. The Intel Extreme Masters, the biggest game competition of the world will be also happening around here. Founded in 1997, in Spain, the Campus Party is the biggest event of the technological world in the fields of innovation, science, culture and digital entertainment, bringing together people to discuss the main issues related to internet. There are hundreds of activities, including lectures, debates and workshops. It is an event where people from all over the world who met on the Internet, take the opportunity to meet personally. It lasts seven days and its possible, just to visit or even camping in tents throughout the event. Users bring their own devices and interact side-by-side, 24/7. 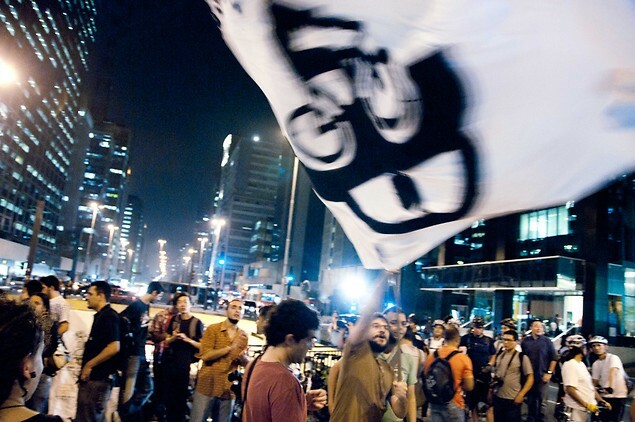 Campus Party arrived in Brazil in 2008 as the first edition of the event outside Spain, bringing together around 3,000 people to the city of São Paulo. From now on, working from 4h40 am till midnight, Monday to Saturday. Starting today, the brand new stations Luz and Republica of the 4-Yellow Line will be open as much as the entire Metro system, from 4h40 all till midnight. 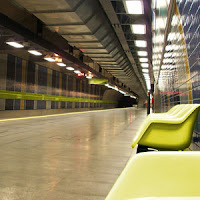 But for now, none of the stations of the 4-Yellow Line (Paulista, Faria Lima, Pinheiros and Butantã) work on Sundays. All of them keep being tested. With extended hours of operation, the Metro hopes to reduce the overcrowded movement of the Station Sé (3-Red Line) and the Luz-Paraíso, the most heavily laden of the (1-Blue Line). 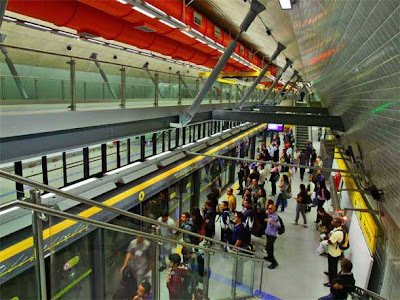 The Bras Station should also have decrease of users because the possibility of integration with the lines of the CPTM at the Luz. According to the Metro, the current daily demand of 260 thousand users can reach 500 thousand by the end of this year. 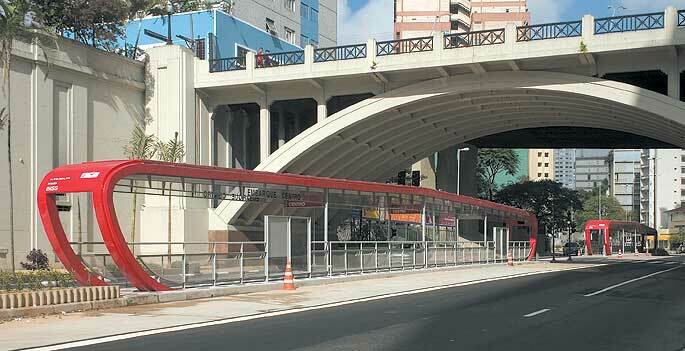 On the 4-Yellow Line, you can access the CPTM lines through the Pinheiros and Luz Stations. 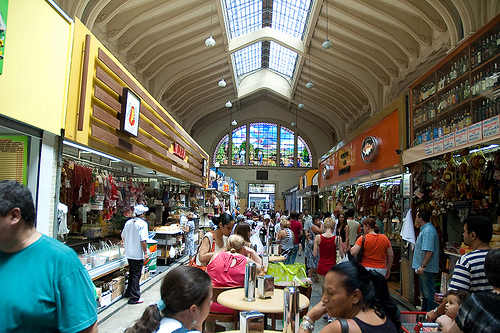 This Monday, the access to Mercadão will be restricted during all day. 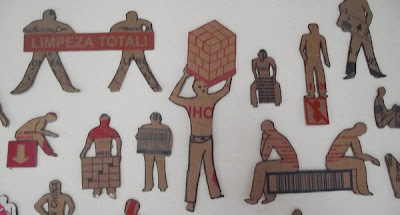 The Government and the boxes owners are planning reset and clean the building dependencies. The cleanning service happens often but at this time, they want to wipe and scrub everything from the roof to the ground. Bus Stop addressed under the Martinho Prado Bridge, city centre. The City Hall is planning to select proposals to renew the bus stops and street watches. The decision may be taken after the law's project regarding street furniture, approved yesterday by the City Hall, which must occur within 30 days. The project authorizes the municipality to choose a company that sells advertising space on 43 thousand bus stops and watches, and also repair of the existing furniture and installation of new equipment. The Guitar God, Eric Clapton will be in Sao Paulo on October 12th at Morumbi Stadium. 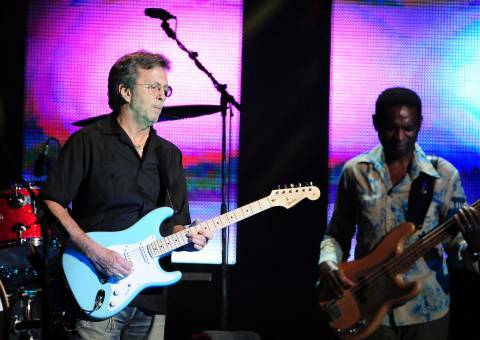 For the concert, Clapton has assembled a unique band, which brings together some of his key partners: Steve Gadd on drums, Willie Weeks on bass, Chris Stanton on keyboards, and Michelle John and Sharon White on backing vocals. When: October 12, at 9 pm. Gates open at 4 pm. 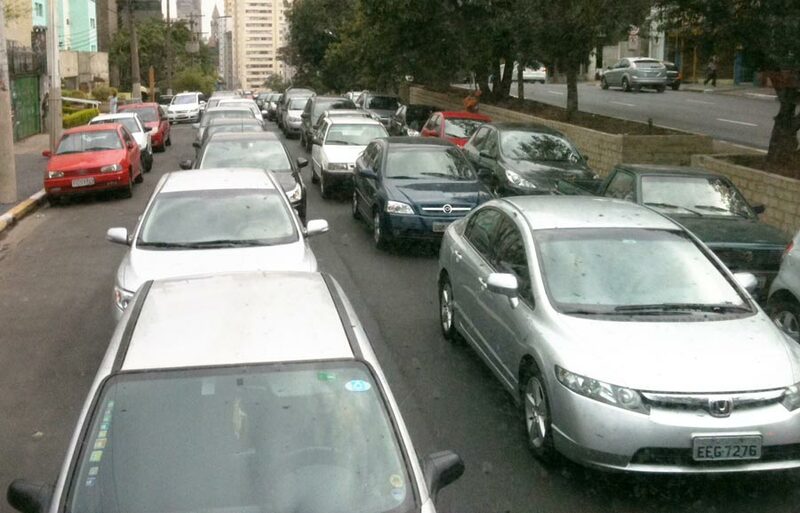 The event encourages motorists to give up their cars for one day. This event happens every year on the same day. Last year 2,221 cities joined the initiative. However, in 2011 the number of cities subscribed dropped to 2,017. In other words, 9% fewer cities are involved. 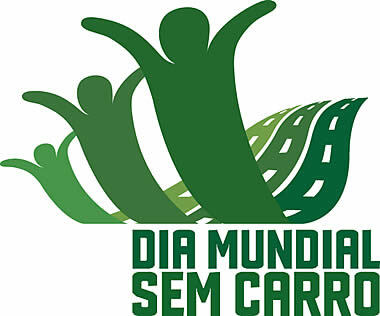 The CET (Traffic Engineering Company) won't organize any change regarding the traffic flow during the Car Free Day. Last year, the 9/22 did not affect the population. The level of traffic was the same a on an average day. The only change will be offered by SPTrans (the government company responsible for public transportation). The group promises to increase the number of buses during rush hours in an attempt to help with the efforts. 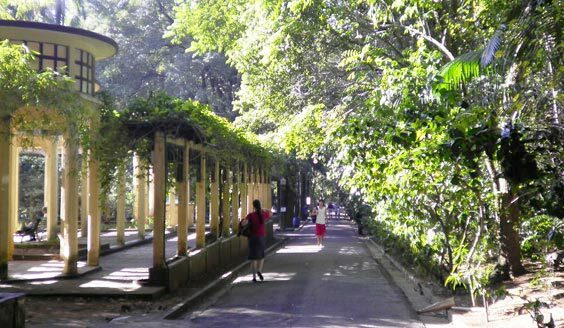 September 22nd (Thursday): from 7:30am till 10am, the Associação Ciclocidade will offer a collective breakfast at Praça do Ciclista for those who arrive riding a bicycle. At 7pm at the Campo do Astro, the film "O Caminho das Nuvens" (2003) by Vicente Amorim will be shown. 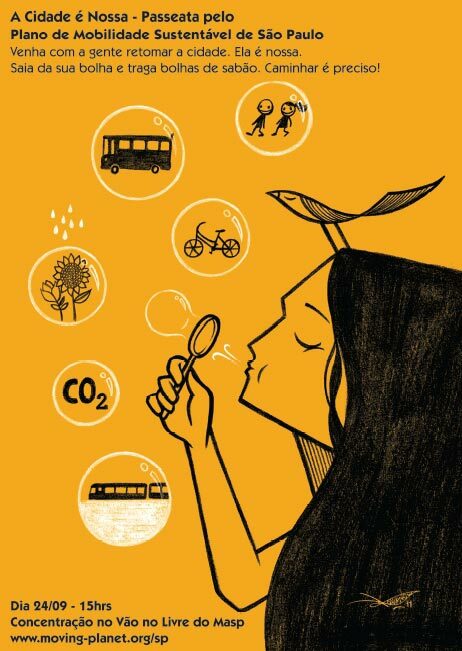 September 23rd and 24th (Friday and Saturday): the Museu da Imagem e do Som (MIS) will show short films about transportation and the environment. 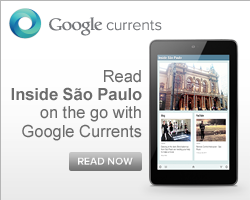 Among them is "Entre Rios" by Caio Ferraz Silva,which tells the story of São Paulo and the city's waterways. September 25th (Sunday): there will be a bicycle exchange fair at Espaço Urucum. The singer plays two concerts in Brazil. On friday Katy opens the Rock in Rio, together with Rihanna and Elton John, and two days later, she will be on the stage in Sao Paulo for The California Dreams Tour 2011, at Chácara do Jockey. When: September 25, at 8 pm. The gates open at 5 pm. According to the transport department of the city, São Paulo has a budget of R$ 15 million for this year to make a mobility plan and it has not started yet! The organizers of the march want to participate in the development of a mobility plan to give back the city to its citizens, covering: transport quality, fair ticket prices, 24/7 public transport service, highlighting a non-motorized accessibility and they also want protect citizenship. Watch the video (English subtitles)! When: September 24, at 3 pm under the MASP freestanding space. Departure expected to 4pm. 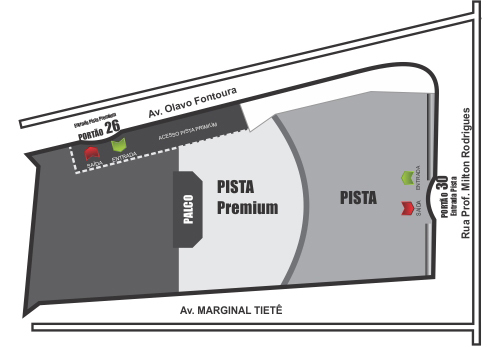 It will be a 2.9 km route passing through MASP (Avenida Paulista, 1578) - Praça do Ciclista - Rua da Consolação - Matilha Cultural (Rua Rêgo Freitas, 542). What to bring: banners, posters, bicycles, skates, skateboard, friends, family, pets, sunscreen, umbrella (who knows...). 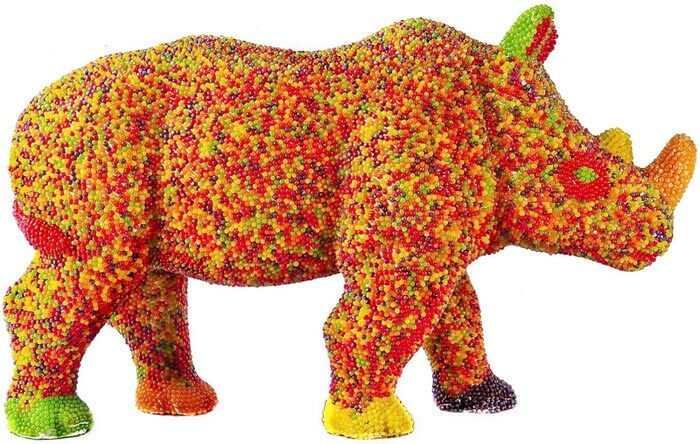 From tomorrow (September 20), the streets of Sao Paulo and 11 other Brazilian cities will be overrun by colored rhinos. It's all part of the "Rhino Mania" open air exhibition, which will bring 60 pieces created by local artists that will later be on display at the state capital. Among the artists who decorate the pieces are: Gabriel Gombossy, Alexandra Magrini, Binho Martins, Loro Verz and Luciana Assumpção. 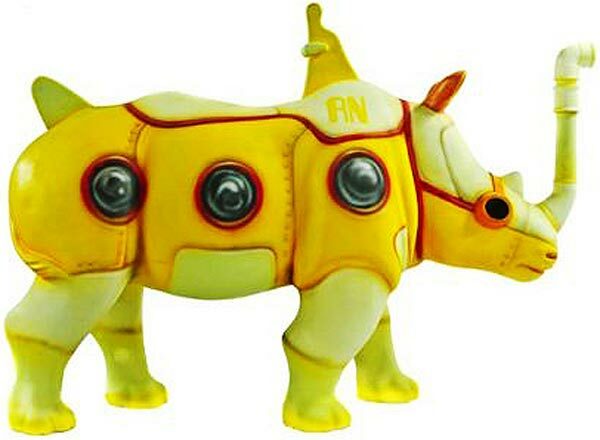 After the exhibition, the rhinos will be auctioned and the money will be given to institutions engaged in environmental education and wildlife preservation. The impact that Rhinos cause in the streets and the area that the body of a rhinoceros offers to artists perform their art, and because it is an endangered species. These animals are weak even though they are strong. Where: All over the city. According to the Municipality of São Paulo, about 3.5 million people have participated of the 5th Virada Esportiva. It was a record crowd. There were a thousand meeting points throughout the city and around 2,500 free activities across Sao Paulo. This represents a 40% increase when compared to 2010. The city's mayor, Gilberto Kassab, said the weather was responsible for the success of the event. The event can still be improved. For future events, the city could invest more in event publicity, and also in making more equipment available to serve the population. Some places have received many participants and people had to wait in lines for almost an hour. Changes and improvements will be evaluated by the city's secretary of sports, Bebeto Haddad. 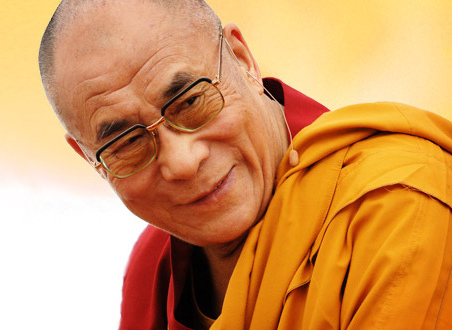 Dalai Lama is visiting Sao Paulo and defending the environment on his fourth time in Brazil. The 14th Dalai-lama, Lhamo Dhondup (76 years old), came to Sao Paulo to participate of lectures regarding different themes, including: business, envirolment, self-improvement, among others. He is also taking the opportunity to advertise his brand new book "Towards the True Faiths of Kinship." In today's lecture, Dalai-Lama talked a lot about the responsibility of the media. Unfortunately all the tickets are already sold out. This weekend (September 17), Rihanna will be on the stage for her concert of the album Loud. The tickets still on sale. Check it out! Yesterday (September 15), a law forbidding to charge for the use of public toilets in bus stations in São Paulo State was published on the Diário Oficial (Official Gazete). Signed by the governor Geraldo Alckmin, the law requires concessionaires or licensees of bus terminals to maintain their facilities tidy and clean and also to provide access for disabled people. The new law is already in force. 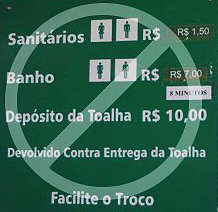 A daily fine (R$ 5,235) will be applied for the concessionaires that won't fulfill the requirement. 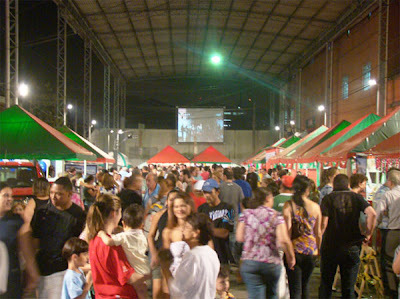 Virada Cultural 2011: the biggest uninterrupted sport event on earth. 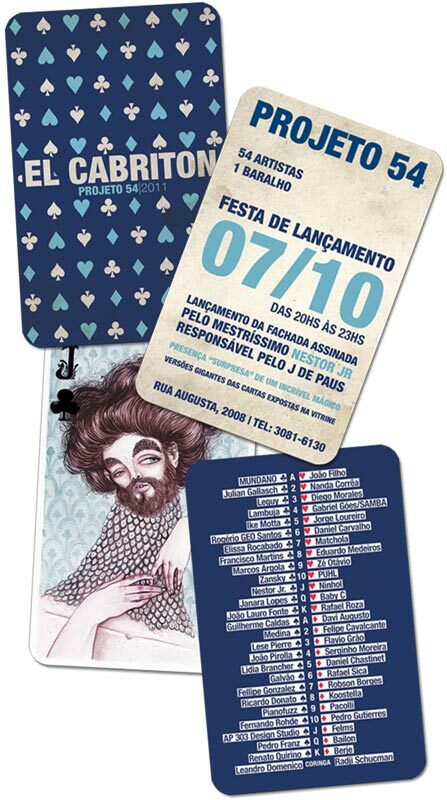 This weekend for free on the streets of São Paulo! 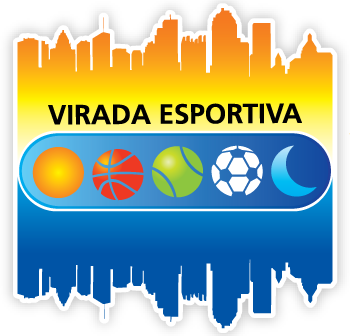 This weekend, September 17th and 18th, Sao Paulo will host for the fifth consecutive year a new edition of the Virada Esportiva (What could be Sport turn over). 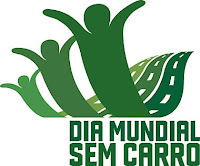 It will be a whole weekend with sports throughout the city of São Paulo. The biggest sport event uninterrupted on the planet. Get ready for 32 hours of sports, leisure and recreation in Sao Paulo! There will be over 2,500 free activities spread in a thousand different points of the five regions of the city - more than 40% than 2010 edition. Prêmio Paladar 2011 - You can be one of the judges! 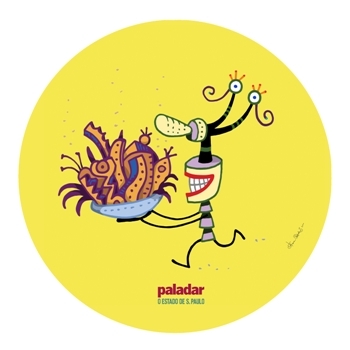 If you live in São Paulo and want to be one of the judges of the Prêmio Paladar, organized by the newspaper Estadão, and if you want to have meals in the best restaurants of Sao Paulo with expenses paid by the newspaper, you can be part of this contest. It's easy! You just have to write a quick review (8 to 10 lines maximum) about a dish you have eaten recently. And put as a comment on their blog's post (click to access). The authors of the best comments will be selected for an interview, after which will be the final selections will be made. The interviewers will consider the candidates' appetites for food and knowledge, and how their passion for food is expressed. 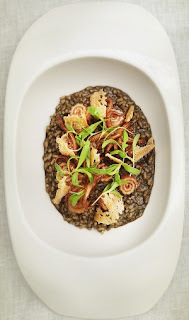 Remember to stick to critiques of the food and your dish, and not of the restaurant in general. Insidesaopaulo has talked to the organizers, and the text can be written in english if you wish, but it's important to be living in São Paulo and to be available to visit restaurants in town. 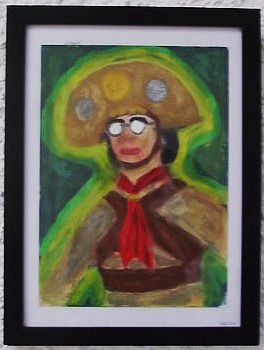 The winners of the contest will be announced in December. 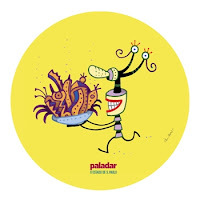 Since the Prêmio Paladar doesn't consider any votes based on memory alone, the selected judges will have to taste and experience all the items competing for the 2011 award in different categories. 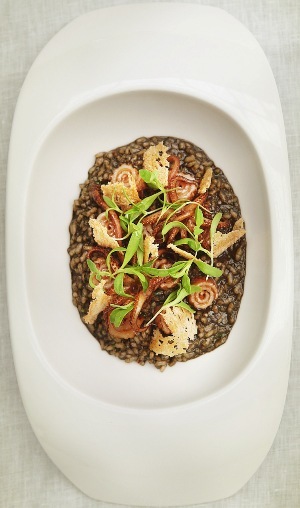 They must visit the restaurant as ordinary customers, without identifying themselves. They must order, pay the bill, and write a review. 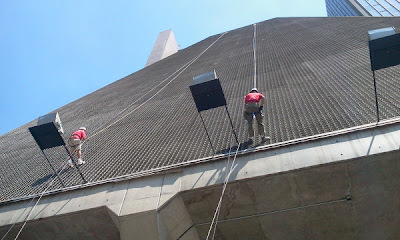 That's undoubtedly an intense and secret task - but definitely an awesome one. Each contestant may send only a single review including a valid e-mail (which will not be revealed). The contest is already running and ends on September 18th, at 11:59 pm. The applicant must live in São Paulo and be available during the contest. The participation is voluntary (it's not paid). No refund is available for extra expenses. Cuisine chefs and restaurant staff are not allowed to participate. The identity of the judges in 2011 will not be revealed to the readers until the award celebration. At the very beginning, these two brand-new stations will operate from 10 am to 3 pm, Monday to Saturday, including holidays. 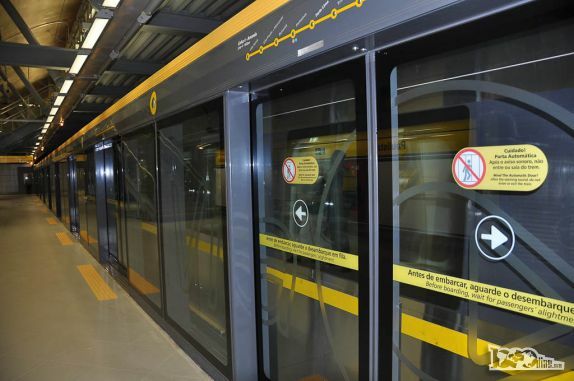 The Metro Department estimates that around 100 thousand passengers daily will be accessing the República station, and 132 thousand passengers will pass through the Luz station. Metro expects an equalization in the access of Paraíso and Sé stations. 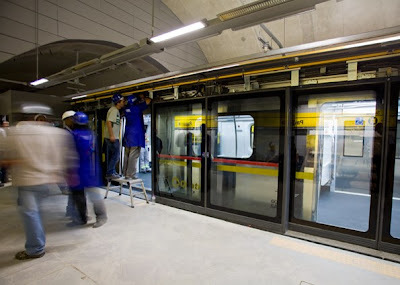 Now the next challenge of the Yellow Line is the construction of a tunnel 1 km long, connecting to the Vila Sonia station in the west region (under construction). Beyond that, there are also the project-ending of the installation of operating systems at the stations: São Paulo-Morumbi, Fradique Coutinho, Oscar Freire and Higienópolis-Mackenzie. The route between Luz and Vila Sonia will have 12.8 kilometers passing through 11 stations. It is expected that the remaining works will be ended in 2014. From 2012, Line 4-Yellow must already carry about 700 000 people per day. 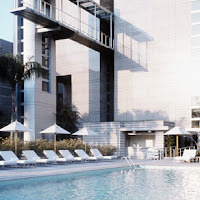 Located in one of the big Business Centers of São Paulo, Avenida das Nacoes Unidas, the Grand Hyatt São Paulo is near to the Congonhas airport. 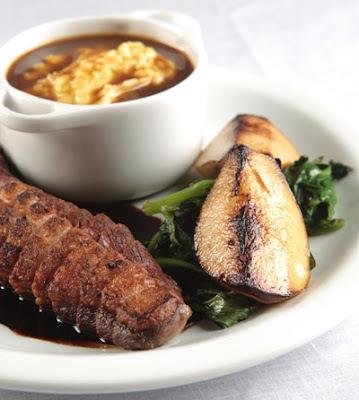 The luxury accommodations and fine dining are great options for those coming to work in São Paulo. There are over 460 rooms including the Grand King, Grand Queen and Presidential diplomat suites. Among the services you can find business center, shuttle to airport, bar, wine cellar and cafe. 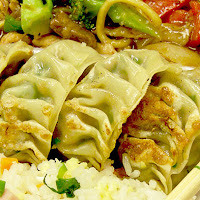 There are also 3 restaurants serving Italian, French and Japanese food. The concourse Miss Universe 2011 hosted in São Paulo at Credicard Hall ended and the crown goes to Africa! Congratulations! 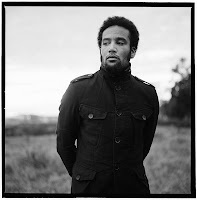 The Californian singer Ben Harper comes to Brazil in December for six presentations of his world tour "Give Til It's Gone": Porto Alegre (December 3), Florianópolis (December 4), Belo Horizonte (December 6), Brasilia (December 7), São Paulo (December 9, at Via Funchal) and Rio de Janeiro (December 10). 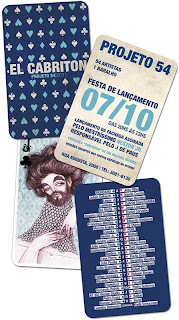 The ticket sales for the concert in Sao Paulo will start on September 16. Price: Premium R$ 350; Track R$ 180; Mezzanine R$ 240; VIP R$ 350. The event Fashion's Night Out is back in town for it's 3rd edition (click her to read about the 2009 edition). All the subscribed stores will be opened till midnight. There will be raffles, concerts, parades and even lectures. The programming is quite varied. The project aims to honor important Brazilian stylists, such as Clodovil Hernandes e Zuzu Angel. The highlight is the parade organized by Cristian Dior, set for 7 pm. At this time, the novelty is that the Vogue Team will be present on several shops helping people to get well dressed. For 2011, Vogue has created exclusive T-shirts for each country world wide. All the income collected during the event will be donated to NOGs chosen by the shops. The event will happen at Shopping Pátio Higienópolis, o Shopping Cidade Jardim and few streets of Jardins neighborhood (Oscar Freire, Haddock Lobo, Bela Cintra and Alameda Lorena). When: September 12th, from 7pm till midnight. The event offers a free iPhone APP. (Click here our type FNO Brasil inside Apple Store). 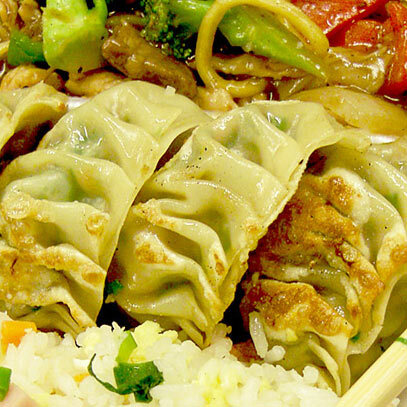 The Japanese restaurant Mussashi Yakissobateria offers delicious Asian inspired dishes with quick service and carry out options. Mussashi has also another restaurant at Rua 15 de Novembro, 41 - Loja 1. Both are quite near. 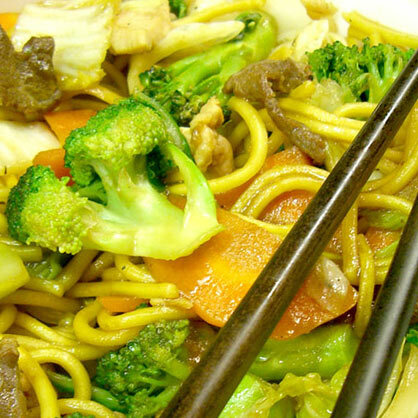 Try the yakisoba premium (R$ 8,99), teppan yaki de Frango (R$ 9,99) or beef katsu (R$ 10,99). Casa Xiclet celebrates 10 years in a big party. Don't miss it! Isac Enriquez (Chicago, USA) and Genta Higashi (Tokyo, Japan) and Xiclet. The pieces of the exhibition will be on sale during the event. Go visit! We recomend! When: September 11, from 3 pm till 11 pm. Price: Free to get in, R$ 20 open bar; R$ 20 open food. 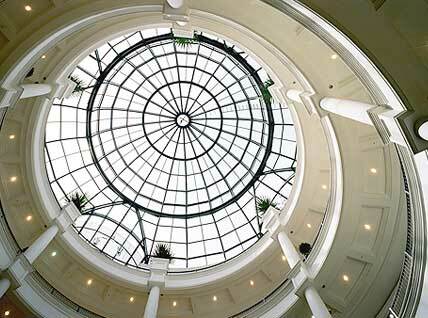 Shopping Pátio Higienópolis is a luxury mall in São Paulo! 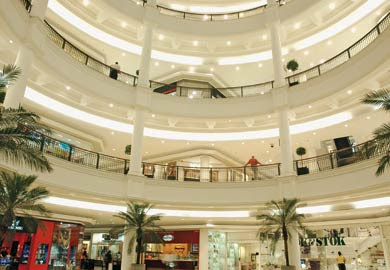 The Shopping Pátio Higienópolis is a luxury centre frequented by São Paulo's more weathly public. The six floors of the mall were carefully designed with a central dome that allows natural lighting during most of the day. There are several cafeterias inside the mall, including Starbucks and Café do Ponto. There are about 250 shops as well as a diverse food court, six screen movie theaters and a traditional theater. The mall also has a gym and a video game store. When: Monday to Friday, from 10 am till 11 pm; Sunday, from 2 pm till 10 pm.